The moment you get on your bicycle it becomes an extension of your body. It becomes a natural part of you...and you a part of it. A connection and a bond is formed. Your bike personifies your personality and becomes part of your identity. Heck, most of us even name our bikes. Which is why it feels so incredibly weird, awkward, and foreign when you, for one reason or another, ride someone else's bike. I accidentally rode Mark's bike once. We had matching 2006 Stumpjumpers. His was a small frame and mine a large. 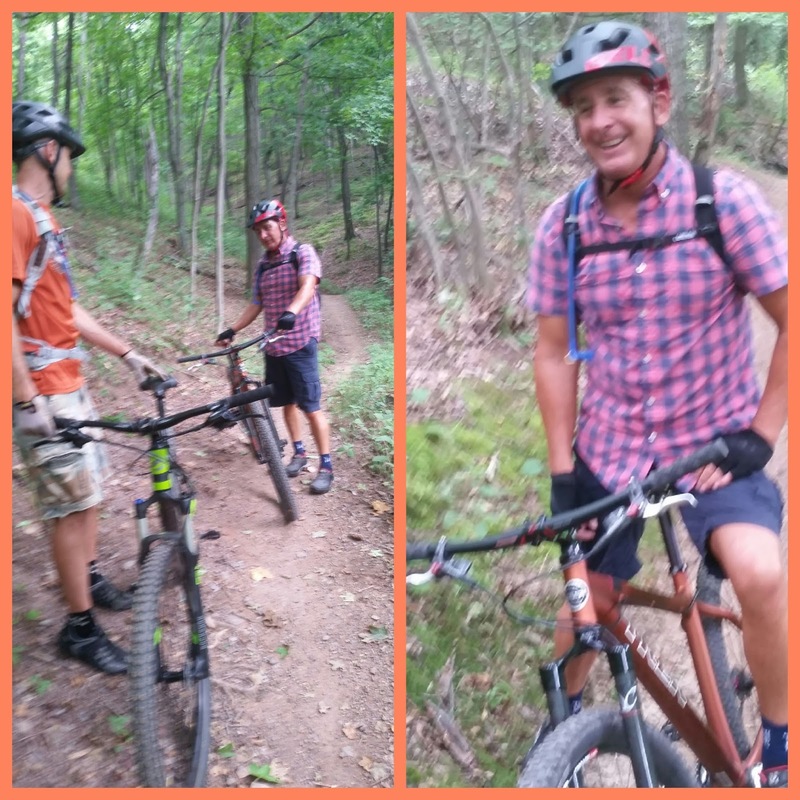 We didn't make it more than ten feet down the trail before realizing the switch...and sharing a laugh. There have been times when I've been "between bikes" and needed to borrow someone else's bike for an event (thank you, Billy & Kevin!). 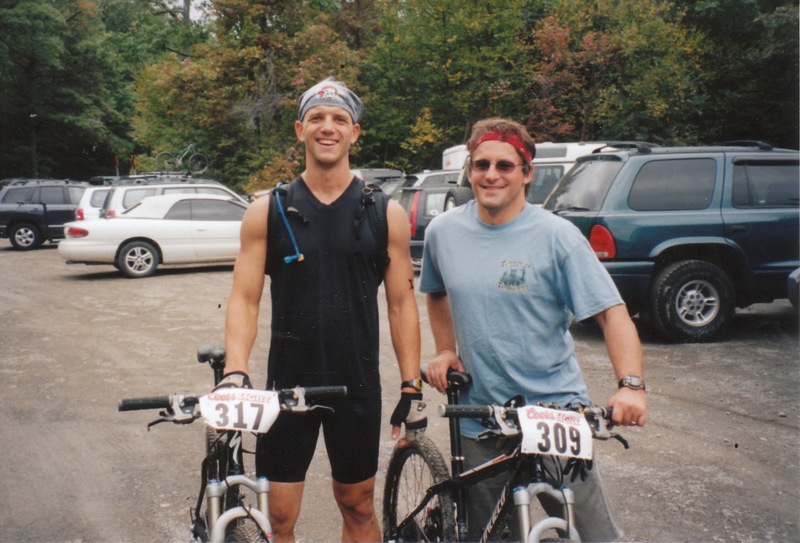 Once I even rode my son's bike in an adventure race because a teammate needed to ride mine. Working at GUNG HO BIKES I rode a myriad of bikes...some were significantly "nicer" than mine...but none of them ever felt quite right to me. Riding someone else's bike could ultimately have financial implications...just ask Glenn! Kristian allowed Glenn to ride his bike on a section of the Allegrippis Trails. Glenn ended up with a significant case of "bike envy." Glenn's currently in between bikes! 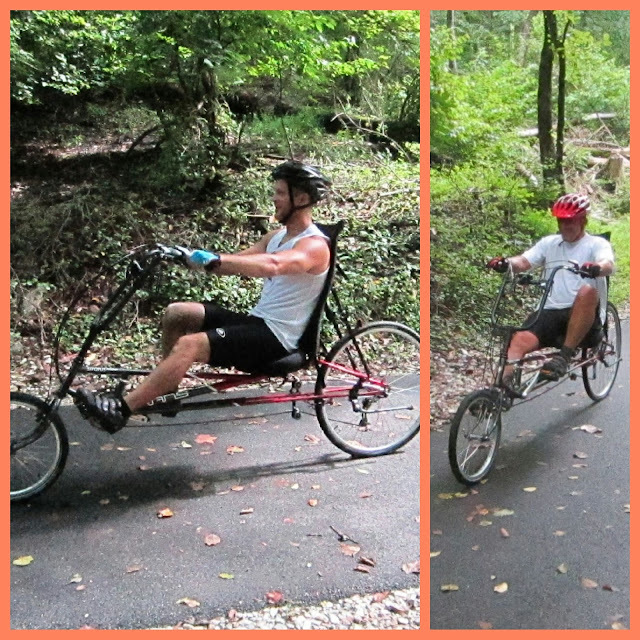 There are some things that I DO like about getting the chance to ride someone else's bike...Tim and I rode our first recumbent cycle while fixing a mechanical in Patapsco Valley State Park...we met a nice gentleman, struck up a conversation, and he allowed us to test out his bike. 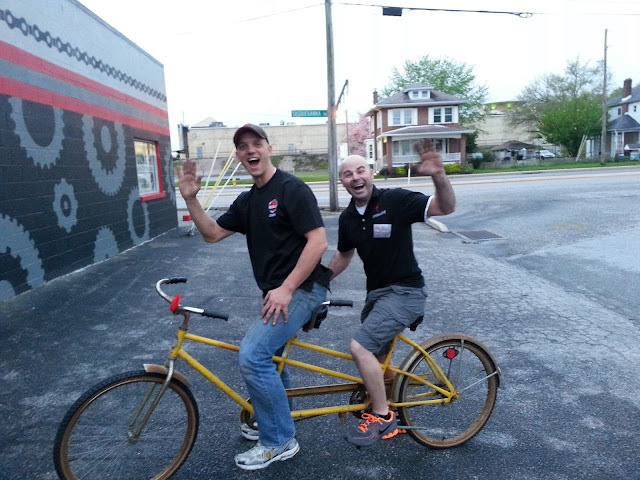 I rode my first tandem bike with Mikey after the two of us tuned it up on an evening that we were both working at the shop. 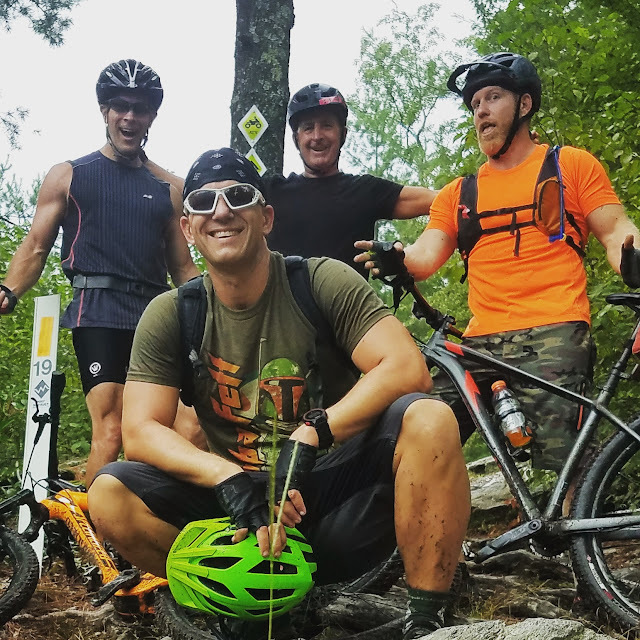 I was the last in my group to make the switch from a 26 inch bike to a 29er...borrowing Billy's bike for an adventure race played a big part of that. So yeah...I guess I could say riding someone else's bike ultimately put me on the bike that I'm on now...the very bike that's become an extension of me. If you enjoyed this...by all means tweet it!